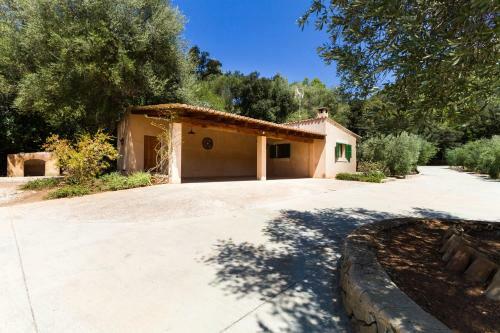 Sa Tafona d'Esporles in Esporles is a villa with 1 room. 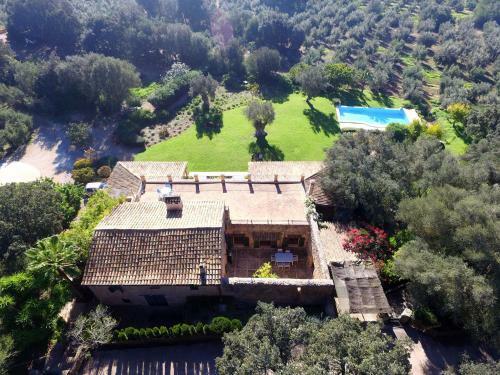 Located 1 km from Esporles, in San Pedro Valley in the World Heritage Sierra Tramuntana Mountains, this air-conditioned villa was formerly part of an estate producing Mallorca's famous olives and olive oil. 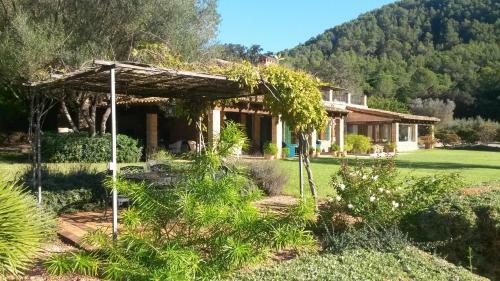 Featuring free WiFi, a sauna and a terrace with mountains views, the villa also offers an outdoor pool in the garden with barbecue facilities. Free private parking is available on site. 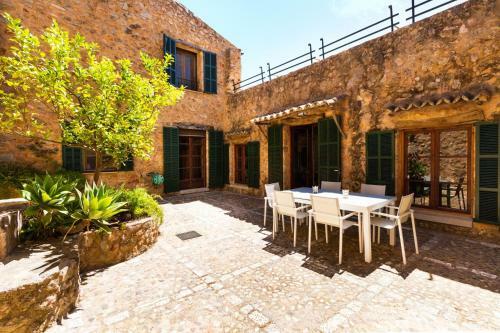 Sleeping up to 12 people, the villa has 3 independent areas composed of 6 bedrooms and 7 bathrooms, fitted ...with a bath and a bath or shower. There is a seating area and a kitchen equipped with a dishwasher. A flat-screen TV and DVD player is offered. Other facilities at Sa Tafona d'Esporles include a terrace, padel court and sauna. Bike hire and car hire are available at the property and the area is popular for hiking. Palma de Mallorca is 11 km from Sa Tafona d'Esporles. 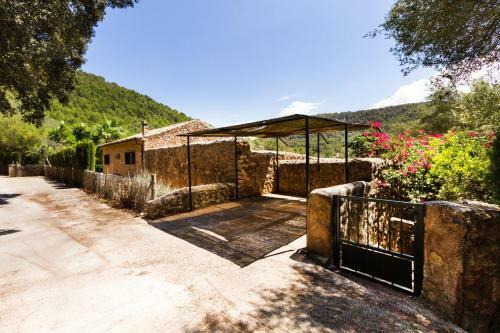 Nearby you will find pretty villages like Valldemossa, Deia and Soller. 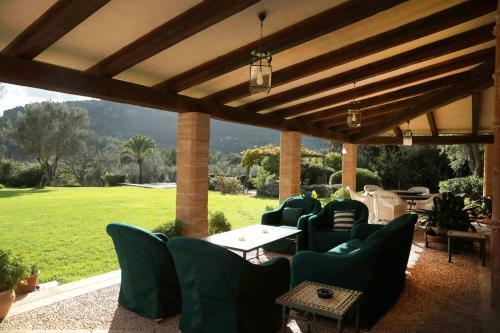 Son Termes Golf Club is just 4 km from the villa and Palma Yacht Club is 11km away. 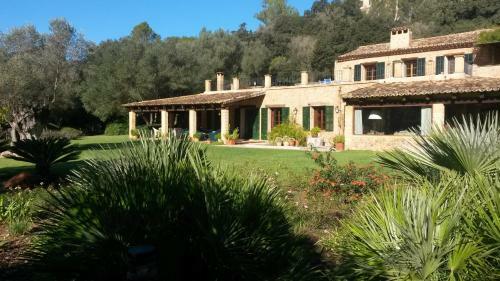 Son Sant Joan Airport is a 15-minute drive from the villa. Located 1 km from Esporles, in San Pedro Valley in the World Heritage Sierra Tramuntana Mountains, this air-conditioned villa was formerly part of an ...estate producing Mallorca's famous olives and olive oil. 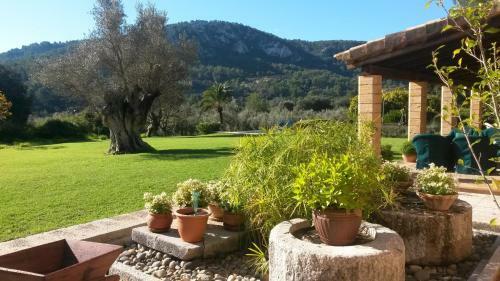 Featuring free WiFi, a sauna and a terrace with mountains views, the villa also offers an outdoor pool in the garden with barbecue facilities. Free private parking is available on site. Sleeping up to 12 people, the villa has 3 independent areas composed of 6 bedrooms and 7 bathrooms, fitted with a bath and a bath or shower. There is a seating area and a kitchen equipped with a dishwasher. A flat-screen TV and DVD player is offered. Other facilities at Sa Tafona d'Esporles include a terrace, padel court and sauna. Bike hire and car hire are available at the property and the area is popular for hiking. 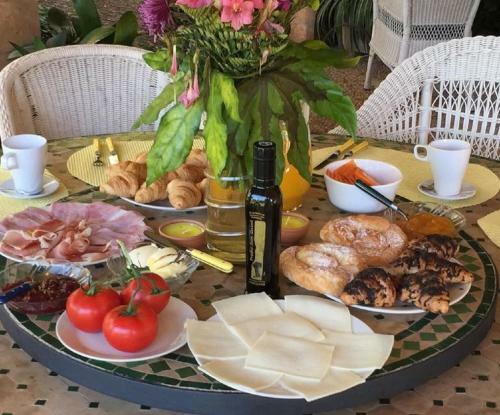 Palma de Mallorca is 11 km from Sa Tafona d'Esporles. 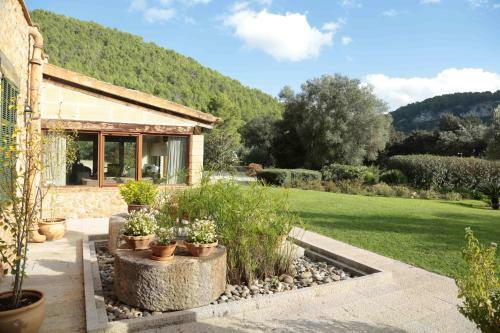 Nearby you will find pretty villages like Valldemossa, Deia and Soller. 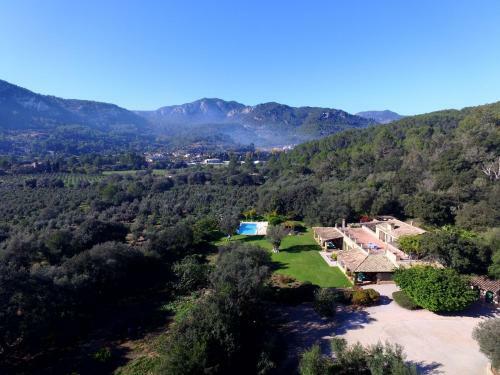 Son Termes Golf Club is just 4 km from the villa and Palma Yacht Club is 11km away. 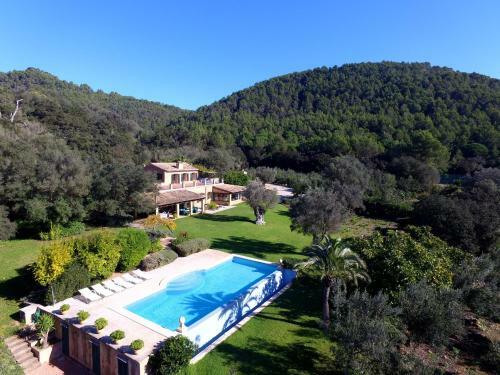 Son Sant Joan Airport is a 15-minute drive from the villa. When would you like to stay at Sa Tafona d'Esporles? Children and extra beds All children under 3 years stay free of charge for children's cots/cribs. All older children or adults are charged EUR 55 per person per night for extra beds. All children under 3 years stay free of charge when using existing beds. The maximum number of children's cots/cribs in a room is 1. The maximum number of extra beds in a room is 2. Supplements are not calculated automatically in the total costs and will have to be paid for separately when checking out. Any type of extra bed or child's cot/crib is upon request and needs to be confirmed by the innkeeper. Please inform Sa Tafona d'Esporles in advance of your expected arrival time. You can use the Special Requests box when booking, or contact the property directly with the contact details provided in your confirmation. A damage deposit of EUR 500 is required. The host charges this 14 days before arrival. This will be collected by bank transfer. You should be reimbursed within 7 days of check-out. Your deposit will be refunded in full via bank transfer, subject to an inspection of the property.